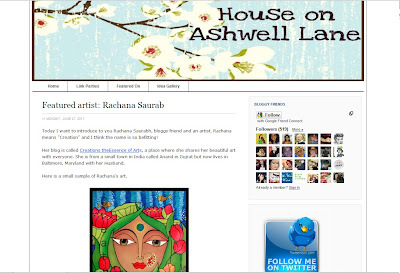 CreationS - The Essene of Arts: Recent Feature House on Ashwell Lane..! This Monday CreationS was on "House on Ashwell Lane".. Thanks Nisha for your sweet words.! I am really touched.! !